This Blueberry Pineapple Smoothie is not only super tasty and easy to make, it is amazingly delicious! Use wild blueberries from Maine for maximum nutrition and benefits! 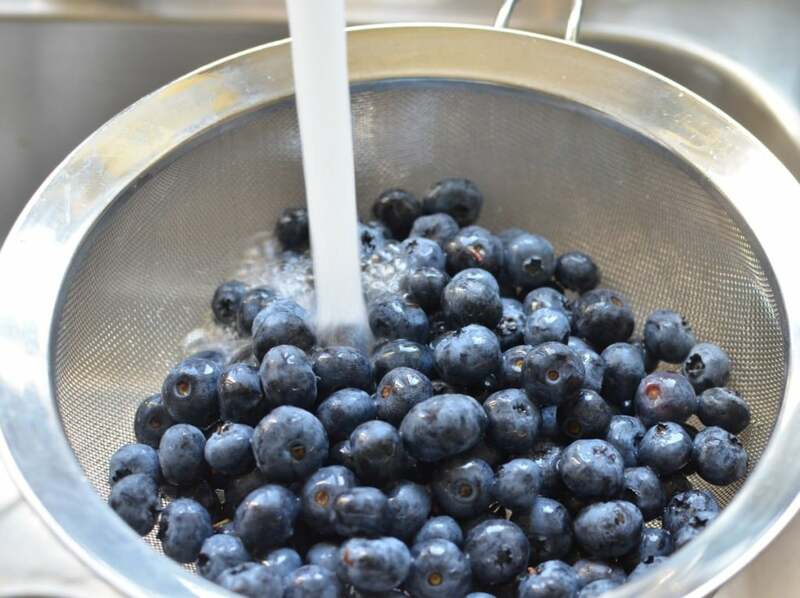 Blueberries are a great source of antioxidants that contain flavonoids. Flavonoids are reported to help prevent excessive inflammation throughout the body. Some studies state that blueberries help memory, brain function and may help prevent cancer. Read in more detail about the wonderful, amazing benefits of blueberries here. And I love this book as a great resource for the benefits of fruits and veggies. Berry lovers will want to try this healthy non-dairy berry smoothie. Washing the fresh in-season blueberries. Have you tried this Peach Blueberry Crumble recipe using fresh blueberries? (P.S. – currently working on a grain, gluten, and dairy-free version). I love using fresh, in-season, local ingredients wherever possible. 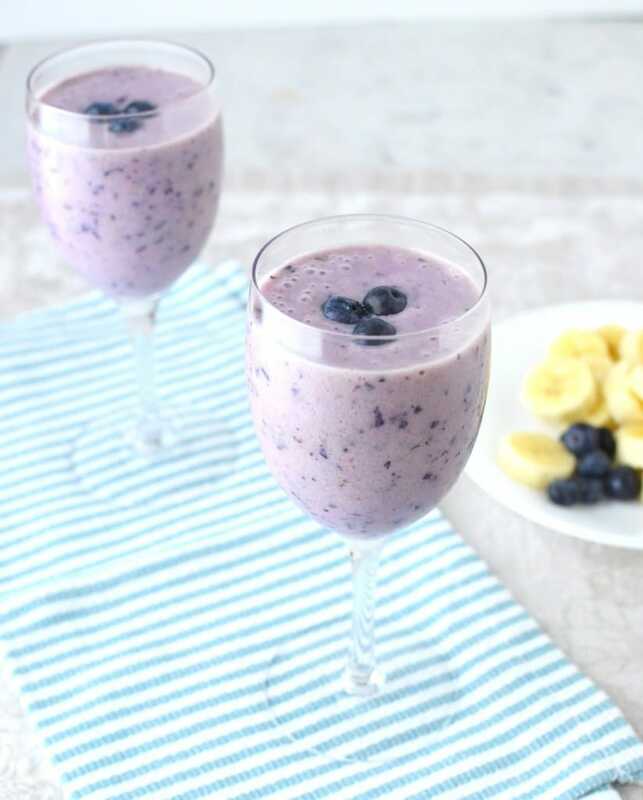 However, I have found frozen produce can be an exceptional resource for making this awesome blueberry pineapple banana smoothie, as well as this super easy smoothie. I find that in order to be successful in my smoothie a day habit, I need a good routine where ingredients and tools are easily accessible. The ten minutes it takes to pull my blender out of the cabinet, and chop up fruits and veggies will too often come between me and my nutritious smoothie, especially during a particularly busy morning. However, with a few easy strategies, smoothie success is a breeze, even on the busiest of days. Less clunky than a larger blender and fits perfectly on my countertop. 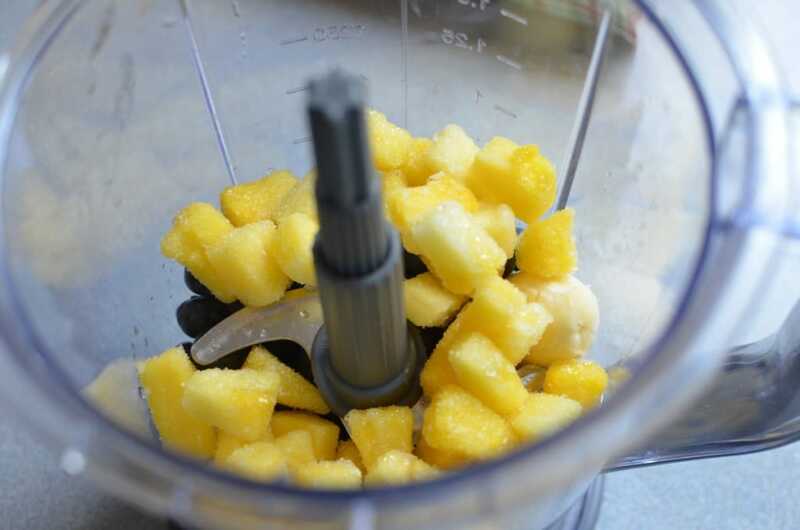 I love using frozen pineapple chunks for this recipe. My experience living in New England has taught me that each state has something unique to offer. When I think of blueberries, I think of Maine. How can you not fall in love with the charm of a tiny beach cottage near the ocean? Sigh. The beautiful sites and sounds included fog horns of lobster boats as they hummed by, birds singing all hours of the day, the scent of wildflowers in bloom. And, of course, the beautiful deep blue ocean waves. As inviting as the water appears, even in late summer, one toe in that icy water was too much for me! Within walking distance of our cottage was a very casual, outdoor lobster restaurant. Lobsters and blueberry pie. That’s Maine. Wild blueberries are becoming more readily available at the grocery store. During the summer, when in-season, they are available fresh. They are noticeably smaller than traditional blueberries and look like little beads. And, you can find them in the frozen section as well. Example: If you are using fresh blueberries, use a frozen banana and pineapple. Or, use frozen wild blueberries, pineapple, and a room temperature banana. If in need of something frozen to add to the mix, a few ice cubes are always an option. For variety, try making a smoothie bowl. Just pour the prepared smoothie into a bowl instead of a glass and add your favorite toppings! 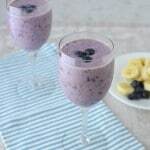 It is sometimes hard to find a good blueberry pineapple smoothie without yogurt, but this recipe does just that. 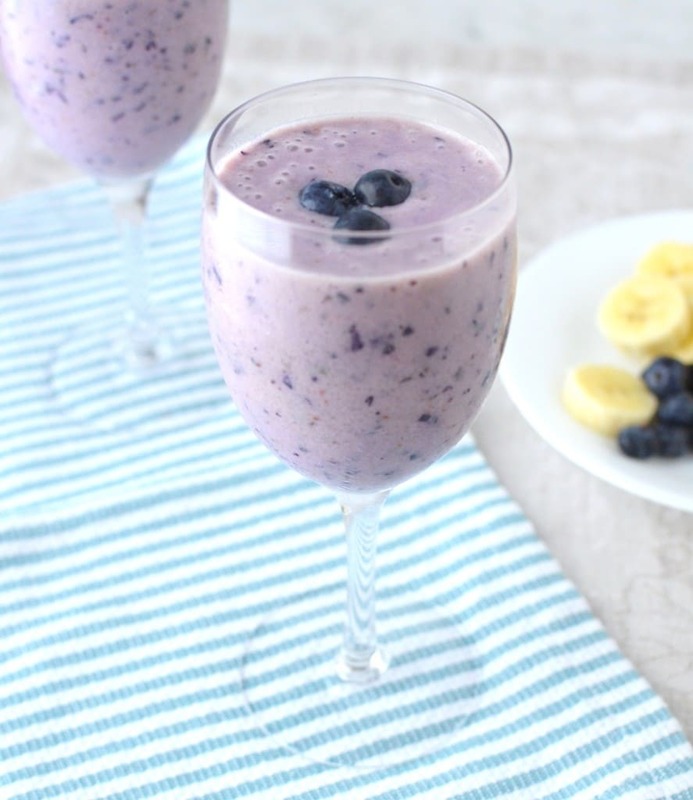 And, this blueberry pineapple smoothie couldn’t be easier. Just place all the ingredients in your blender and blend for about a minute, until you get the desired consistency. Smoothies are great; they can be breakfast, snack or a meal replacement. p.s. This is my favorite, awesome, yet reasonably priced blender! I love these environmentally friendly glass straws that can be washed and used over and over. 1 cup fresh blueberries (may be frozen), 1 cup frozen pineapple chunks, 1 Banana (fresh or frozen), 1 cup unsweetened almond milk (would probably be good with coconut milk), Garnish with blueberries and/or banana slices. Place all ingredients in a blender for several minutes until combined and creamy in consistency. The BEST Blueberry Pineapple Smoothie - 4 Healthy Ingredients! This is a refreshing, healthy, delicious smoothie; perfect as a snack, breakfast, after a workout, or anytime! Place all ingredients in a blender and mix until smooth and you reach the desired consistency. I just made this for my husband and I, and it really is the best smoothie! Hi Nicole! That’s so great to hear – glad you love it!